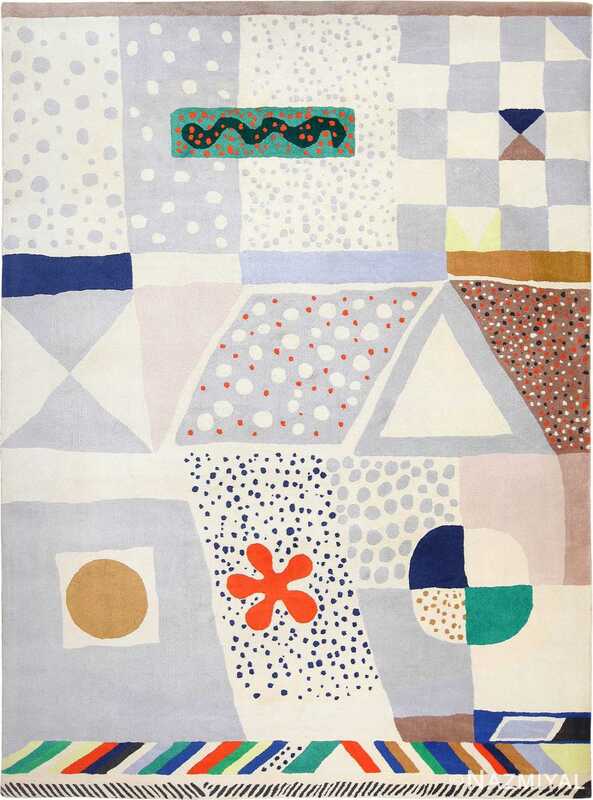 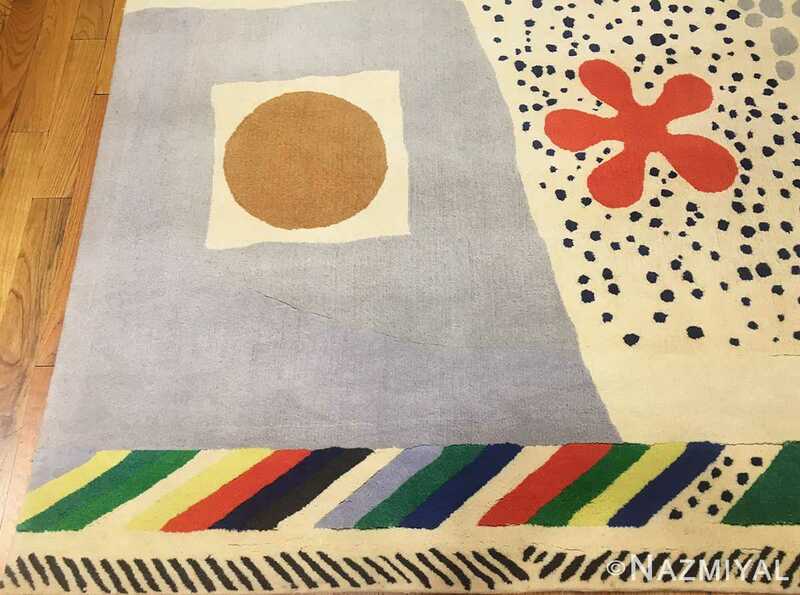 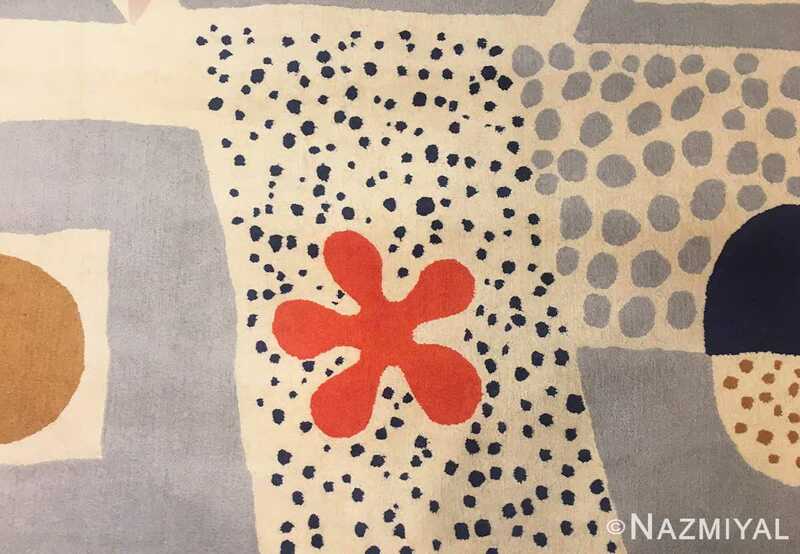 Breathtaking Whimsical Vintage Mid Century Scandinavian Rug by Artist Josef Frank, Country Of Origin / Rug Type: Scandinavian Rug, Circa Date: Mid 20th Century – True to the style of many beautiful vintage Scandinavian rugs, this masterpiece is designed with abstract concepts in mind. 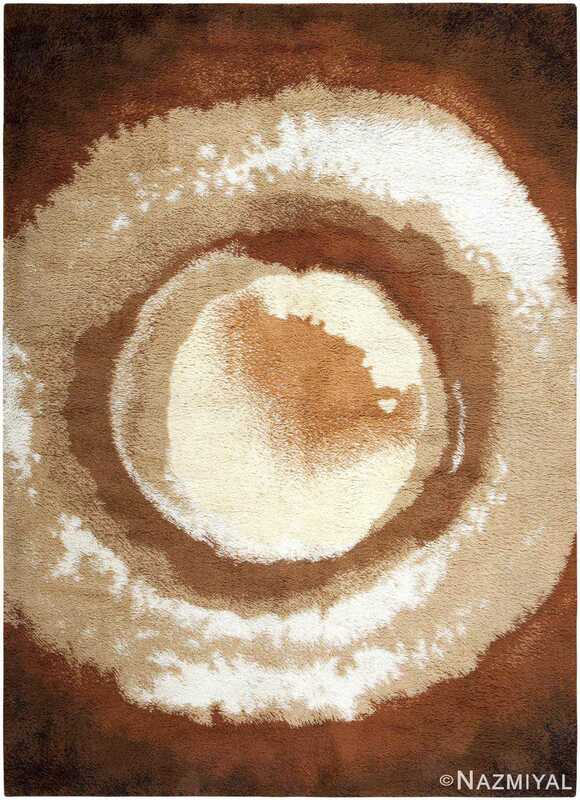 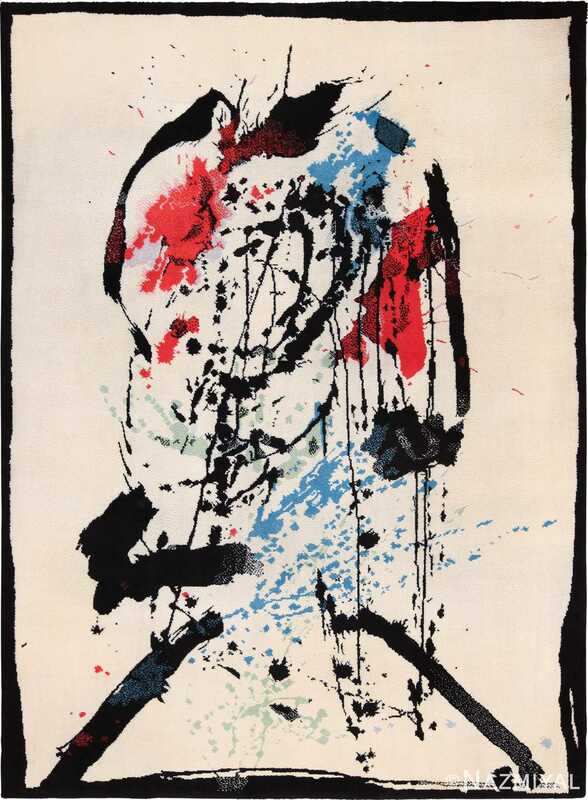 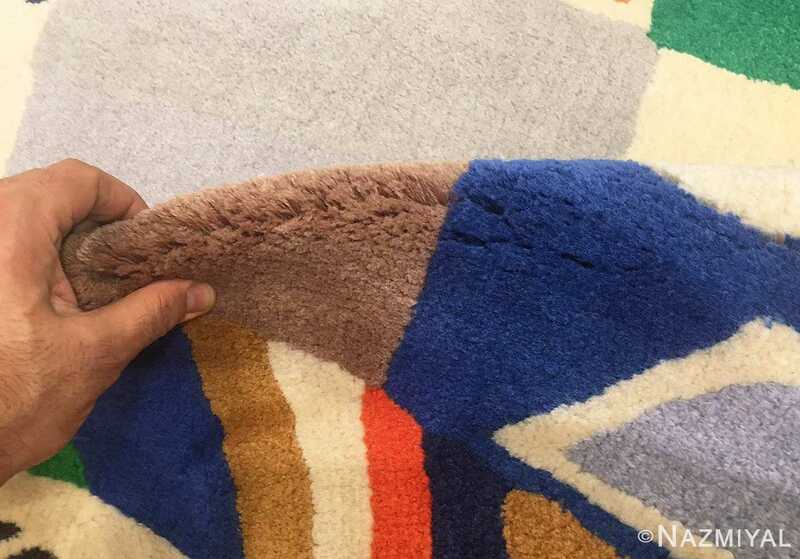 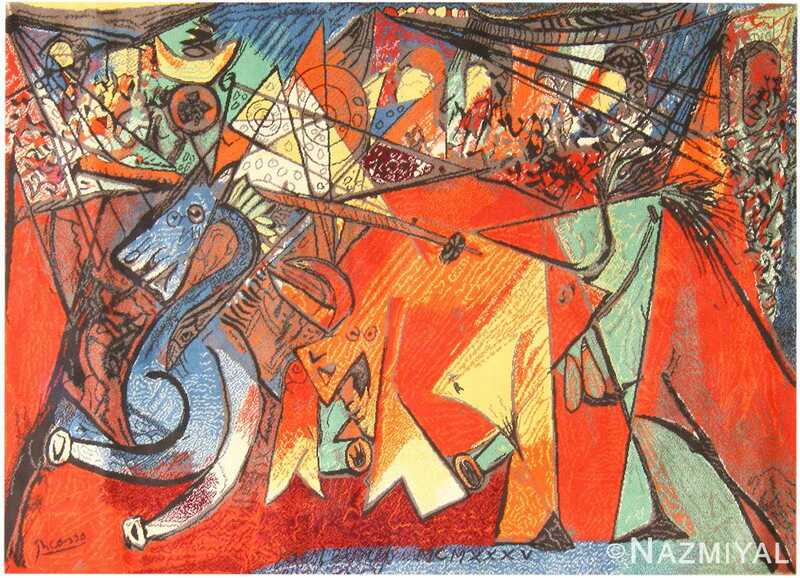 Through the use of strong lines and beautiful colors, the viewer is treated to a unique and personal experience, one that may change entirely depending on how this breathtaking vintage mid century rug is set in the room. 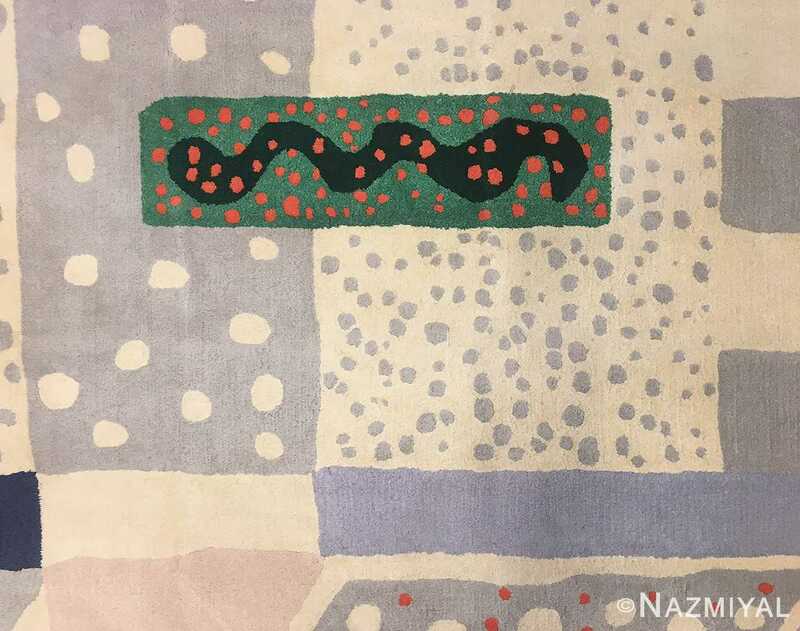 The gray tones create an undeniably strong presence throughout the piece, almost like a fog that invites the viewer to explore the shapes within. 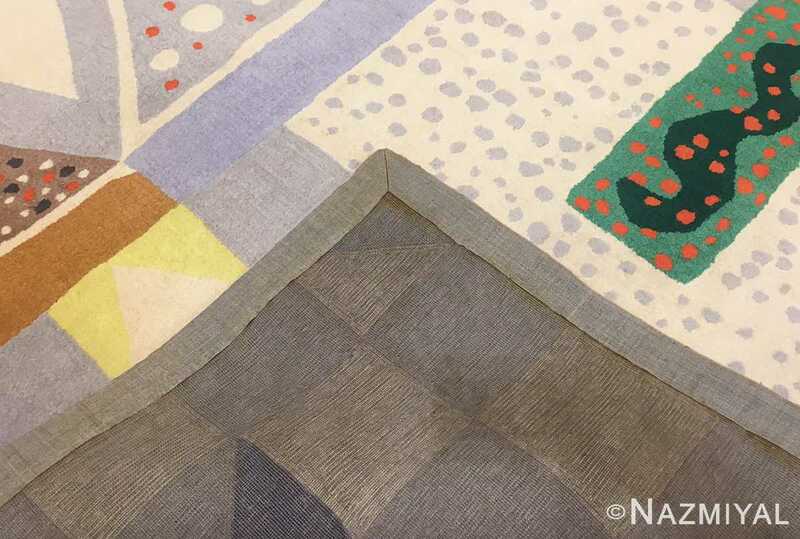 Green, blue and yellow colors elegantly stand against each other amidst the gray, creating clear points of interest that lead the viewer’s eyes from one section of the rug to the next.